Scooter freestyle riding has risen to popularity at the beginning of the 21st century. However, it was not always this way. Scooters started out as foldable toys for children, and when the sport of freestyle scootering started to become popular, the toys slowly lessened in number and got replaced by scooters with a fixed welded head. Similar to skateboarding and BMXing, freestyle scootering is performed by doing stunts and tricks. Competitions and events involving scooters have also been happening everywhere, making the sport more known. Also, the increasing popularity of freestyle scootering nudged manufacturers to make a sturdier and solid kind of scooters. Freestyle scooter riders can choose to buy a complete scooter or buy individual parts and assemble their own. While buying a complete one is the easier and simpler task, especially for beginners, creating your own will give you the freedom to customize your scooter in any way you want it to be. You can choose your favorite colors, the parts that you prefer and the quality of the parts. You can customize it any way you want to give you the best high-performing scooter that feels and looks right to you. The deck is probably the most noticeable part of your scooter. Of course, all the parts are important, but the deck is kind of the backbone of your scooter. Therefore, when you plan to build your own custom scooter, or maybe you want to upgrade your old one, it is important that you choose a strong deck that will be able to withstand the tension and pressure it will be subjected to. How to Know What Deck Is Best for You? 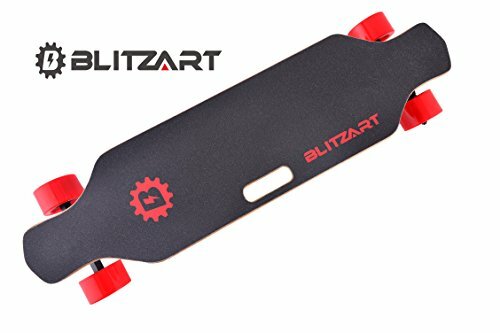 How big should my scooter deck be? How to custom paint your scooter deck? 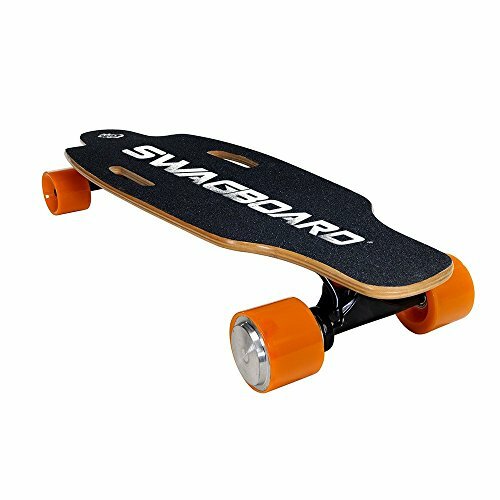 What is the lightest scooter deck? What is the widest scooter deck? How to raw a scooter deck? Conclusion: Which Scooter deck should you buy? 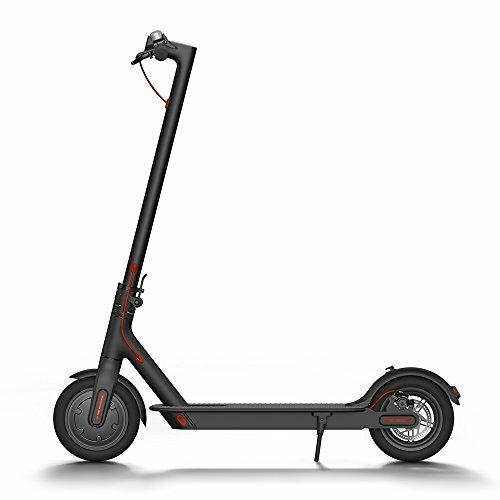 Now that scooter freestyle riding is becoming more and more popular, scooter manufacturers have also started growing and making a lot of scooters and parts to choose from. It can be overwhelming and confusing but here is a list of scooter decks that you might want to check out. Crisp Scooters says that they are on a mission to make the ultimate experience of scooter riding a reality by making and using the best materials there is and with great craftsmanship. After the release of their first premium scooter, the Ultima, they have started to manufacture parts that gained a nice reputation and likewise a high demand. One of those parts is the Evolution Scooter Deck. Has a weight of 3 lbs. The Crisp Evolution Pro Scooter Deck is made of heat-treated 6061 aluminum alloy. The 13.75″ (349 mm) foot space allows for a bigger area for foot placements. It has a triple channel concave and an integrated head tube, with an angle of 82.5degrees, joined infinity down tube. The deck includes an SST flex brake, axle, and spacer. This deck will make your scooter look sleek with four different colors to choose from black, black fuel, red, and god and fits up to 125 mm of wheels. This deck can be used in skate parks or streets so that you can practice your tricks. 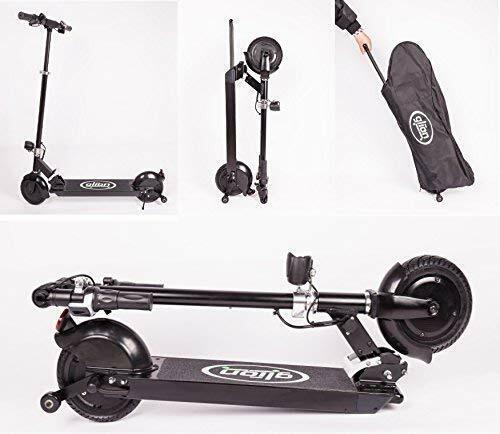 Points to consider: Since the Evolution Scooter Deck has a big foot space this will be most suited for individuals who have bigger feet. This is also a very cheap deck for less than $80. District has been in the business of making scooters for a long time. They are actually one of the oldest manufacturers of pro scooters so buying a product made by them is a safe bet since they have been tested by time. One of their affordable decks is the DK253. Has a weight of 3.13 lbs. The District DK253 Pro Scooter Deck is also made of heat-treated 6061 aluminum alloy. This deck is perfect for small riders because it is small and lightweight, only weighing 3.13 lbs. If you want to be doing spinning tricks and flips, then a smaller deck is good for that. 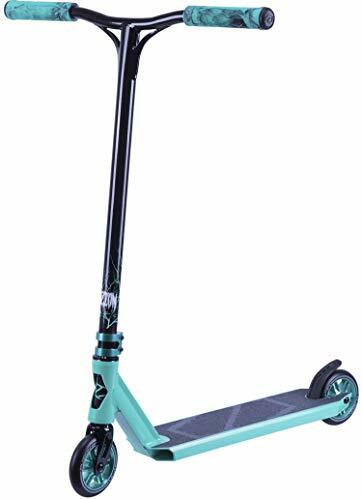 This deck also comes in different colors, abyss, albine, marino, neochrome, and rook, so you have a wide range of options to customize your scooter. 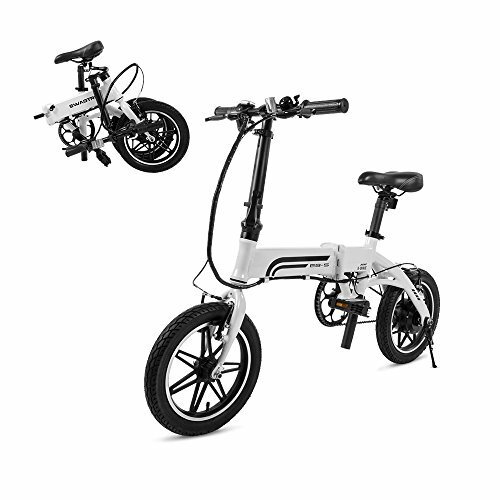 It is very affordable, priced only at less than $100, and it can fit up to 120 mm of wheels. Points to consider: If you are running with a short fork tube this deck is not for you. The head tube of the DK253 is not the standard size so make sure that if you purchase this, it will fit your fork. Grit Pro Scooters claims that they have the pro scooter whatever your style, skill, or discipline is. They are the leading brand of scooters in Australia, and they have become one of the fastest growing makers of complete scooters and parts and accessories in the word. They are proud to be the designers of advanced scooter parts that have incorporated the latest computer-aided design with the highest quality of materials. If you want to try one of their decks, check out their Vendetta Pro Scooter Deck. Has a weight of 2.65 lbs. The Grit Vendetta Pro Scooter Deck has a $120 price tag. This deck is worth your money because Grit makes high-quality, durable decks. It is made of heat-treated 6061 aluminum alloy with a square-shaped, internal gusseted, down tube. It is lightweight thanks to the head tube cutout with an 83-degree angle. It can fit a maximum wheel size of 120 mm and comes in the colors of black, blue, gold, and grey and includes axle and spacers. Points to consider: This is a fully integrated deck so it can be used in skate parks and streets. It is lightweight but it is really strong, so it would not easily break because of daily use and abuse. District stood the test of time of making some of the best scooters around. Surely you cannot go wrong with their parts and accessories. So if you are still looking for a good-quality deck and have some more money to spend, then try the District HT 530 Pro Scooter Deck. Has a weight of 3.02 lbs. It includes an axle and spacers and comes in three different colors, asfalt, coine, and polar. It can also fit wheels to a maximum of 120 mm. Points to consider: This is a much pricier deck compared to the previous ones, this is in the $150 price range. However, with the quality and features of this deck, you will not regret your purchase. Still not sure what to buy yet? Check out this last recommendation maybe this will be the right deck for you. This is a longer version of the HT 530 deck from District Scooters. If you want a deck for grinding and siding on handrails and coping, then this deck will be the better choice since longer decks are designed for that. Has a weight of 3.10 lbs. The HT 550 is also made of heat-treated 6061 aluminum alloy that only weighs 3.10 lbs., just slightly heavier than the HT530. This high-quality scooter deck has an 83-degree head tube angle and 3-degree concave. This comes in two colors, coin, and silver, and includes an axle and spacers. Points to consider: This is scooter deck is from District’s HT series. This is basically a longer deck than the HT 530. Therefore, when buying this deck, try to consider what length best suits you so you can make a scooter that suits what you will use it for. Every day we are in situations that require us to make a decision. For some of us, decision-making is a difficult task what with all the choices and options in front of you. Confusion only makes us make rash decisions just to end our dilemma. However, when choosing what deck to use in your customized scooter should not be taken lightly, not only because it makes up about 50% of your scooter, but because choosing the wrong one might be the cause of your money going to waste of even injury to yourself. The right size of deck matters long or short, they all have a purpose do not compromise your own body by purchasing a cheaper one that does not offer the best quality or an expensive one that isn’t the right size for you. Doing so might impact you negatively in the long run. When trying to decide what to buy, consider your size and what you will use it for. Individuals with bigger feet need bigger sized decks so their feet can be accommodated well with a larger foot space, while individuals with smaller feet can go for smaller decks. This will also effect the way you can spin and whip your scooter around. Consider also your height. Bigger and taller individuals will be able to maneuver bigger decks better than smaller individuals because it will be easier for them to do so. Usually, longer decks are great to use when grinding or siding on handrails and coping, and shorter decks are great for flips and spin tricks. With so many options out in the market, ultimately, it comes down to how the deck feels to you. You should be comfortable in the deck you choose so you can have the best value for your money. The decks are probably the most abused part of the scooter. It is the very thing you step on whenever you use it so it would not be surprising if you need to replace it now and then. Nevertheless, there are also essential parts of the scooter that you need to regularly check to ensure your safety every time you ride your scooter. Wear and tear on the parts and accessories is unavoidable but there are some things you can do to make them last longer and get the best value for your money. If you are too lazy to clean your scooter on a regular basis, avoid riding through muddy places. Cleaning your scooters with a damp cloth should wipe away the dirt and mud that accumulated in your scooter but remember to wipe your scooter dry to avoid rusting quickly. Also, prevent scootering in the rain if you can. To keep your scooter moving smoothly, you need to lubricate it. Protect your bearings from corroding by avoiding riding through the rain or wet puddles, and keep it moving freely by applying oil or any lubricant. When applying oil, remember not to let it flow into the wheels as it can cause damage by de-hubbing. So keep your wheels glued to its hub to avoid replacing the wheel when you do not really have to. Loose bolts and clamps can be the cause of a scooter accident that could have been easily avoided if you regularly and properly check your scooter. Loosened parts can cause the scooter to fall apart and also cause damage to other well-working parts. So every time you take your scooter for a ride, check it first beforehand. Lastly be mindful of pressure cracks that lead to breaking decks if you start to notice too many cracks you might want to start prepping for a new deck purchase. Scooter aren’t like school clothes that you grow into, when selecting a deck for your scooter you want to get the size that fits you at that point and time. 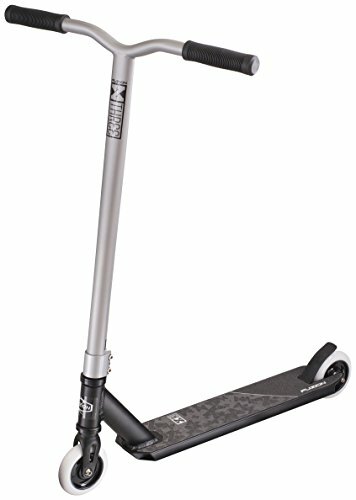 A scooter that is too small or too big will effect your ability to be comfortable and learn tricks. A general rule of thumb is a rider who is 4 ft tall should go for a deck somewhere around 18 inches, if the rider is 4.25 ft tall you want to add half inch to the overall deck length. Typically you can .5 inches to deck length for every 3 inches of rider height. This calculation maxes out at 22 inches where most brands stop in length. Deck width is another point of difference but this is more of a rider preference thing. The more narrow the deck the less weight but the wider the deck the more surface area you’ll have to land and catch tricks, so choose your size carefully. Right now the AO scooters Sachem deck is the widest on the market this deck measures in at 5.2 wide and 23 long. With these ridiculous measurements its shocking this deck only weighs 3.6 lbs. The best way to raw a scooter deck that is to show the actual metal that the deck is made from with no paint or no coating is to use oven cleaner. Oven cleaner is made to get rid of the toughest gunk from food and that has been burned onto the inside of your oven. Due to that fact it makes perfect sense that baked on scooter paint will come off easily with this stuff. Be careful with this substance because it is very toxic, over cleaner should never be used without the supervision of a parent. Building your own scooter can be a tedious job when you do not know where to start. So before you make purchases make sure that you do your research to avoid spending more than what you can. I hope that this guide has given you even a little insight into scooter decks that might work for you and should you choose to build your very own customized scooter, give you a bit of knowledge on how to get the best value for your money.